Prime Minister Thongloun Sisulith will lead a Lao delegation to the World Economic Forum on ASEAN 2018 (WEF ASEAN) to be held in Hanoi from September 11-13, said Laos’ Pasaxon newspaper on September 7. The newspaper said that WEF ASEAN is an annual meeting that draws the participation of high-ranking government leaders, global entrepreneurs, policymakers in the industrial sector, representatives of international organisations as well as world leading experts. WEF ASEAN 2018 will discuss ideas and visions on the theme of “ASEAN 4.0: Entrepreneurship and the Fourth Industrial Revolution”, and cooperation between the State and private sectors in socio-economic development in the region and the world at large. 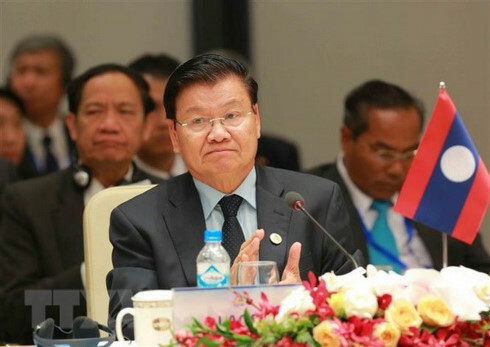 According to the newspaper, within the framework of his trip to participate in the event, PM Thongloun Sisulith will meet his Vietnamese counterpart Nguyen Xuan Phuc and other leaders of the host country. In addition, he will hold meetings with the President of the WEF and representatives of several international companies investing in Laos. WEF ASEAN is one of the largest multilateral diplomatic events hosted by Vietnam this year. It is also a festival of ASEAN countries. The organising board has dedicated a space for ASEAN countries to promote themselves, which is a new point in WEF events so far. The WEF was established in 1971 as a non-profit foundation and is headquartered in Geneva, Switzerland. The forum engages political, business and other leaders to shape global, regional and industry agendas.